BEIJING - China's national legislators from Guizhou province, where ethnic groups account for about 40 percent of the population, have proposed a new law to improve the education of ethnic groups to facilitate their development and address social problems. Highlights of the suggestion include State-level legal protection of ethnic groups' rights to be educated in their own languages and a ban on religious organizations from interfering with their education. Gao Wanneng, Party secretary of Guizhou University for Nationalities, drafted the suggestion and had supporting signatures from scores of fellow deputies to the National People's Congress (NPC) for submission of the suggestion. "We drafted the suggestion to expedite development of China's western regions and help ethnic regions to achieve moderate prosperity," Gao said, adding that the quality of education in the western regions lags far behind other areas and the drain of talent from there has been severe. 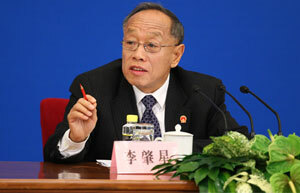 "It is a realistic requirement to promote national integrity and safeguard unity," he said. According to Chen Xiao-ping, dean of the law school at the Guizhou University for Nationalities and co-author of the draft, only a handful of provinces and regions, such as the Inner Mongolia autonomous region, have evolved their own regulations on ethnic education. "The reason for addressing the issue with a law is because the regulations are weak in authority and implementation," she said. "We need a codified law to be introduced across the nation." Compared with the country's Education Law, the draft has two specific stipulations for ethnic groups that stand out. One stipulation in the draft says "primary and middle school and other education institutes that consist of a majority of ethnic students have the right to use their languages and words - that belong to or are generally used by the ethnic groups - for education". China's Education Law stipulates such schools "can" use ethnic languages to teach, while the draft highlights it as a "right". Chen deemed the draft revision a "reflection of human rights and in compliance with world practice". Chen said, based on media reports, her education experience and an onsite survey in ethnic regions, many once rich and diverse ethnic cultures and languages are becoming extinct, and protection efforts need a legal foundation. Bao Bulu, a deputy to the NPC and a teacher from Yunnan province, said most of the approximately 500 students of Jino ethnic group in his school could understand "very few simple Jino sentences. And preservation of this language is difficult since it does not have written words". The draft article also seeks to "establish a bilingual textbook system for ethnic primary schools and middle schools, composed of textbooks that suit ethnic groups learning Chinese". Another stipulation, based on the principle of the Education Law separating education and religion, said "foreign religious organizations, religious schools and religious personnel must not conduct activities of cooperatively running a school in Chinese territories". According to Gao, forces of extremism, separatism and terrorism from outside China regularly target regions where China's ethnic groups live. Some instigate hatred and foment religious zeal to create disturbances. "Their influence continuously penetrates into the schools, affecting the students," Gao said. The draft also sets out polices to promote fairness in education in other aspects, such as gender differences, through financial and penal measures.